Making sure a seedling or cutting gets a solid start is an important step when building a successful garden. The way a seedling or cutting begins its journey will set a precedent for the rest of its life. In other words, healthy, vibrant seedlings or clones are the foundation for a healthy, vibrant garden. Many gardeners make the mistake of not prioritizing the early stages of growth. Instead, their focus is on the later stages of fruiting or flowering, when the harvest is more tangible. Although the fruiting and flowering stages of growth are important, horticulturists who prioritize the early stages of plant development will be rewarded in spades when it comes time to harvest. When growing seedlings or clones, the focus should be on developing a healthy root structure. After all, the root structure will be the largest determining factor in water and nutrient absorption. A plant’s ability or inability to absorb water and nutrition is a major limiting factor to photosynthesis. Put another way, even if a plant has an abundance of light radiation (energy), it cannot grow at an accelerated rate without access to vital nutrients from the soil or nutrient solution. A hefty root mass is vital for nutrient and water uptake and it also plays a central role in the structural integrity of the entire plant. Again, a horticulturist who prioritizes establishing a healthy root zone will be rewarded with fewer problems throughout the entire growing process and bigger yields at harvest time. Smithers-Oasis® is one company in particular that has created the ultimate pre-packaged solution to developing a strong root structure in seedlings and cuttings and making sure young plants get the start they need. In 1954, V.L. Smithers revolutionized the floral industry by creating the first water absorbing foam for florists. Since then, Smithers-Oasis has grown into a leading global manufacturer and marketer of floral foam, propagation accessories, engineered growing media, and post-harvest products. Smithers-Oasis continues to put its focus on the customer’s uncompromised success. By never moving away from its ethos of making the growing process easier and more profitable for gardeners of any level, Smithers-Oasis has become one of the most recognizable and trusted names in the industry. Smithers-Oasis products include foam medium for tissue culture, plant propagation Rootcubes®, Terra Plugs, Fertiss®, PlantPaper, Horticubes®, Oasis® Easy System, hydroponic fertilizers, and disease control and greenhouse cleaners. Smithers-Oasis even offers an ecologically sustainable line of products. Smithers-Oasis®’s continued focus on the gardener’s success is showcased in its innovative products, such as its new Oasis® Terra Plug with Soax® Advanced. 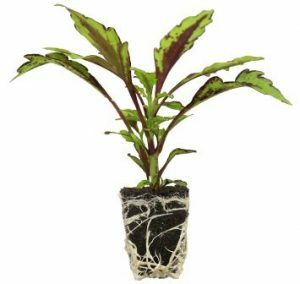 Oasis® Terra Plugs are a bonded media made by first loosely filling the propagation trays and then stabilizing the media. The Terra Plugs are pre-dibbled (pre-holed for the cutting or seed) and ready to use. The Terra Plugs are manufactured using a unique horticultural-friendly patented technology and have an ideal pH for providing seedlings and cuttings with the perfect conditions for root development. Terra Plugs contain a small amount of starter fertilizer which provides balanced nutrition to the cutting or seedling once it has developed roots. Oasis® Terra Plugs with Soax have all the benefits of the traditional Oasis Terra Plugs, but with a new wetting agent technology. The Soax wetting agent added to the Oasis Terra Plugs creates uniform water-to-air ratios throughout the entire root zone. This enables roots to develop evenly in every part of the medium, from top to bottom. The unique addition of Soax to Oasis Advanced Terra Plugs also promotes faster and more uniform root development which equates to earlier transplanting. In other words, when using Oasis Terra Plugs with Soax, gardeners can expect strong, fibrous root development more quickly than with other rooting media. The faster a cutting or seedling can develop a strong, healthy root structure, the faster it can be cycled into the next stage of growth. Not only does this allow a horticulturist to cycle plants more quickly, it also reduces the likelihood of pathogenic problems in the early stages. Unfortunately, the ideal temperatures and humidity levels for cuttings and seedlings to develop roots are also conducive to many pathogenic molds. 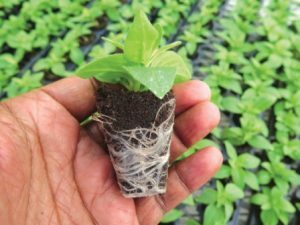 This is because a relatively higher temperature and relatively higher humidity best suit cuttings and seedlings in the root development stage. By reducing the amount of time a seedling or cutting is in the initial root development stage, a horticulturist automatically reduces the likelihood of a pathogen developing. A grower using Oasis Terra Plugs with Soax Advanced will be able to move his or her cuttings or seedlings to the next stage of growth (where the ideal temperature and humidity are less conducive to pathogens) more quickly. All in all, Oasis Terra Plugs with Soax Advanced ensure water-to-air ratios are uniform which prevents water pockets or dry spots in the medium. The Soax® advanced technology is the only wetting agent designed specifically for faster and more uniform cutting and/or seedling hydration. 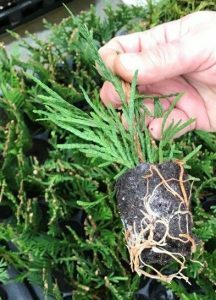 The fibrous root mass developed by cuttings and seedlings in Oasis Terra Plugs with Soax equates to not only a faster transition to the next stage of growth, but also an increase in feeding sites and access to moisture (more lateral bracing in the root zone). Put another way, plants that develop a strong, fibrous root structure will have increased access to nutrients and water as they develop into larger plants. Oasis Terra Plugs with Soax Advanced are ideal for the propagation of vegetative cuttings and seedlings for both ornamental and vegetable crops. Furthermore, the Oasis Terra Plug tray designs can be customized to make the sorting and grading of rooted plugs compatible with the horticulturist’s specific propagation process. This includes both automatic and manual transplanting equipment. The ability to customize Oasis Terra Plugs further demonstrates the Smithers-Oasis commitment to making growing easier and more profitable for all types of gardeners. Both hobbyists and professional horticulturists can benefit greatly from getting their seedlings and cuttings off to a strong beginning. A healthy, vibrant root structure is the ultimate foundation for a healthy, vibrant plant. The sooner lateral root development occurs, the sooner the plant has access to vital nutrients and water. Growers who understand the importance of building a uniform root structure in the cutting and seedling stage will automatically have plants that are better prepared for large fruits and flowers. The folks at Smithers-Oasis continue to develop products that aid horticulturists in achieving their gardens’s full potential. Its new Oasis Terra Plugs with Soax Advanced is another shining example of innovation teamed with practicality. In addition to the superior quality of Oasis Terra Plugs, the incorporation of the Soax Advanced wetting agent gives cultivators peace of mind because it provides the ideal pH, nutrition, and moisture for building a foundation of fibrous root development in record time. For more information contact Jeff Naymik at jnaymik@smithersoasis.com or visit OasisGrowerSolutions.com.